The bridge deck concrete has finished curing and it is time to apply the epoxy overlay! The overlay will be a single layer of epoxy with sand added to provide texture and traction for a durable and slip resistant surface.To complete this task, we will need to close the bridge for one day. 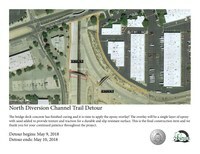 The detour will go into place on Wednesday, May 9 and come down on Thursday, May 10. 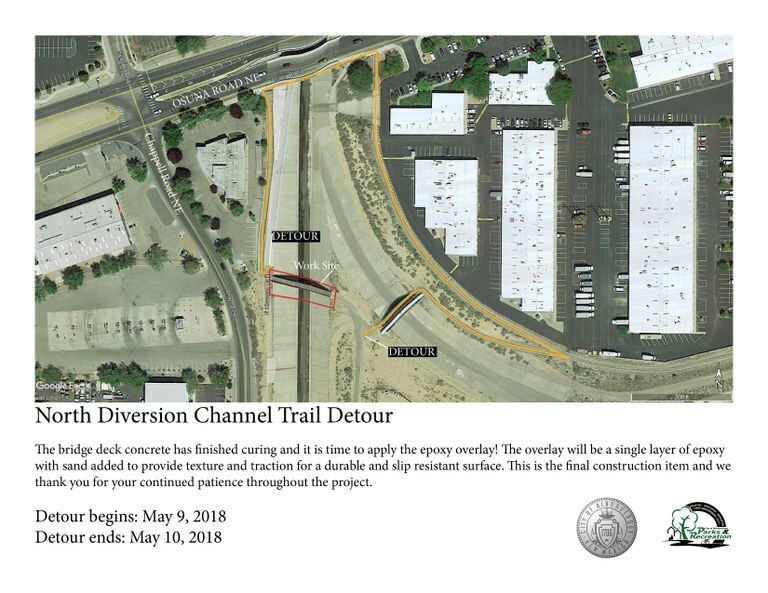 Please follow the detour route during this time. This is the final construction item, and we thank you for your continued patience throughout the project.